Here is Maybelline Tenue & Strong nail polish in “Cloudy Grey” or “Gris Nuage” in French. It is a pale grey creme with strong blue undertones. I think this is a great and unique addition to the grey polish trend. 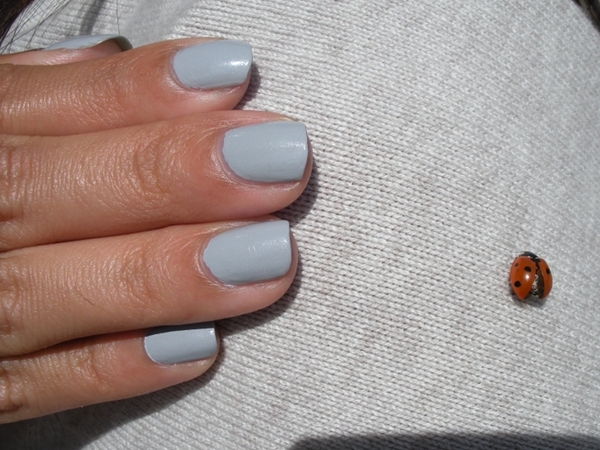 Here are Serena’s nails posing with a French ladybird. I don’t own any other Maybelline lacquers so I was pleasantly surprised that application was really smooth and the formula was thick and pigmented. The only strange thing is that when I tried googling for this nail polish, nothing showed up in the search results except for the French Maybelline website, which makes me think that this range is only available in France (where I purchased it). 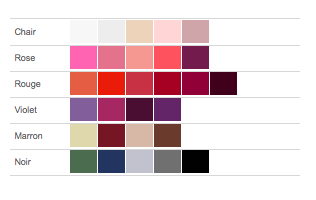 What a shame, because I would have loved to try more colours. Previous Chanel Cobra Next OPI Parlez-Vous OPI?